Here’s an interesting jab at Google and its mobile operating system Android: Verizon, the No. 2 U.S. carrier, is joining the LiMo Foundation because it has software and phones available, Google does not. The LiMo Foundation, representing Linux Mobile, is the lesser known of the mobile operating systems. There’s Microsoft’s Windows Mobile, supplying many makers of smart phones; Symbian, supplier mostly to Nokia; Qualcomm, supplier mostly to Verizon; upstart Google, and Apple. Then there’s Linux Mobile, slowly creeping along by adding devices mostly in Europe and Asia. 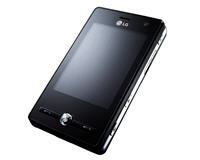 The LiMo (Linux Mobile) Foundation is a consortium of companies well vested in the mobile industry: Motorola, Samsung, LG Electronics, Vodaphone, NTT DoCoMo, and many others. Verizon is the first U.S. carrier to join the LiMo initiative, which now has 40 members worldwide. The idea behind LiMo is to build a standardized, Linux-based mobile platform, which members can customize to meet their needs. For the most part, Linux Mobile is a competitor to Android, which is not yet available on any handsets. Linux Mobile is showing up on phones from Motorola, NEC, Panasonic, Samsung, and LG. Kyle Malady, vice president of network for Verizon, said in a conference call today that he expects Verizon to sell both regular devices and smart phones using mobile Linux next year. Verizon’s move isn’t so much a slap in the face as a poke in the side to Google, which has somewhat of a rocky relationship with Verizon. The two companies were locked in a bidding war for the 700 MHz spectrum recently auction in the U.S.
Once a reserve was met in the auction, an open network clause was triggered, and Google ended its bidding. Verizon was left holding the goods, so to speak. The winner must build a new network open to any device and any application. Verizon has whined publicly that maybe Google didn’t play fair. Verizon’s involvement with the LiMo Foundation does not preclude it from joining Google’s Open Handset Alliance and supplying Android phones in the future — it most likely will. But Verizon is sending a message that Google’s mobile OS isn’t ready and won’t be until devices start showing up at the end of 2008 and into 2009. Verizon isn’t going to be waiting around, twiddling its thumbs. Maneuverings like Verizon joining LiMo never register on the consumer mobile radar because, after all, they’ve been buying phones mostly on size and looks for years. But with the success of the iPhone and BlackBerry products and the coming of the smart information device, mobile operating systems are becoming more important and a hotly contested battleground. Worries over Google phones: What if they're just ordinary? Why is AT&T behind Google and Verizon in the open-network game? In collaboration of Limo & Verizon gives hopes to LiMo unify the mobile industry around openness and Linux as the key enablers to lowering development costs.